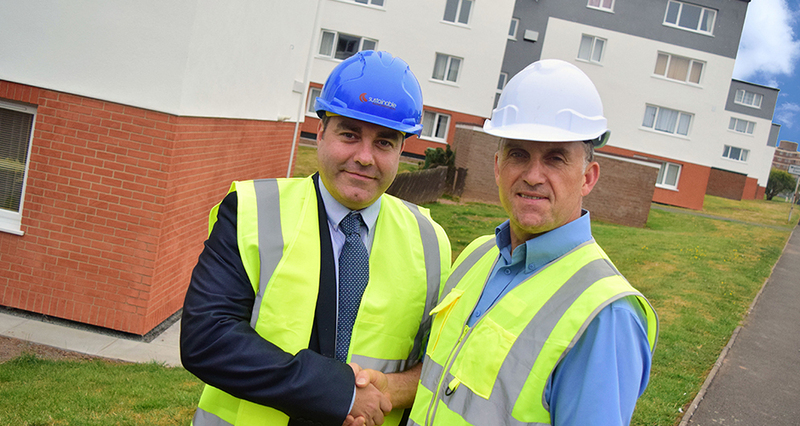 Recognising a need to improve the energy efficiency of some of its properties, Wrekin Housing Trust commissioned Sustainable Building Services to carry out a range of efficiency works including the installation of an external wall insulation system to five 4-storey blocks of flats, encompassing 60 separate living units in total. 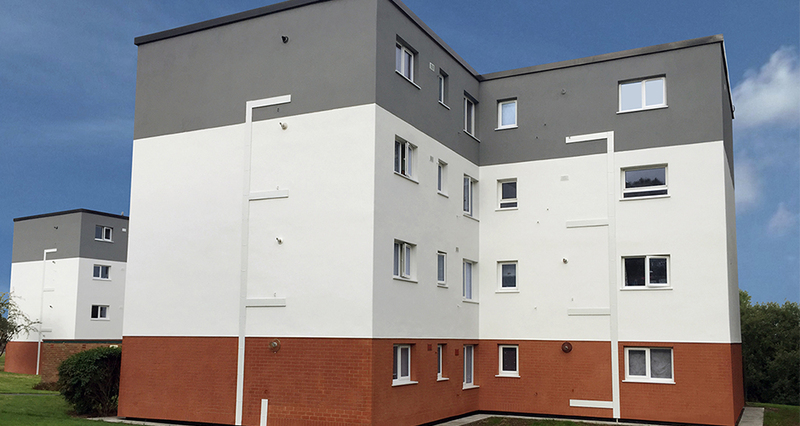 Beside the adaptations normally associated with EWI installations, the client also directed the company to undertake a number of other works including groundworks and energy efficiency improvements. 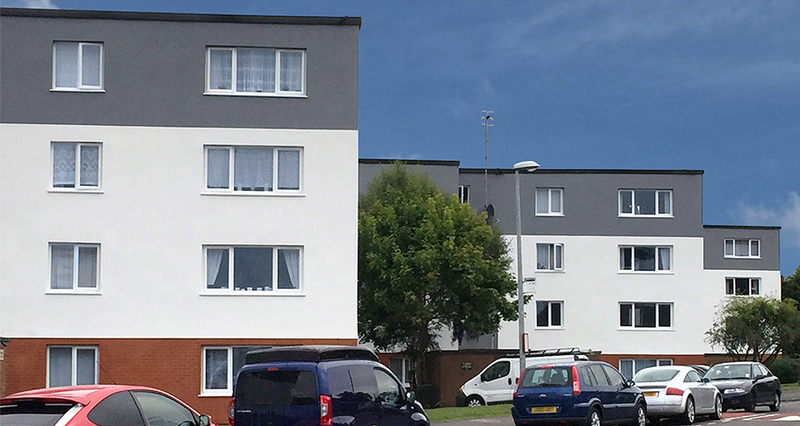 Most notably, these included fitting new thermally efficient double glazing, communal satellite works and roofline details to some of the blocks. 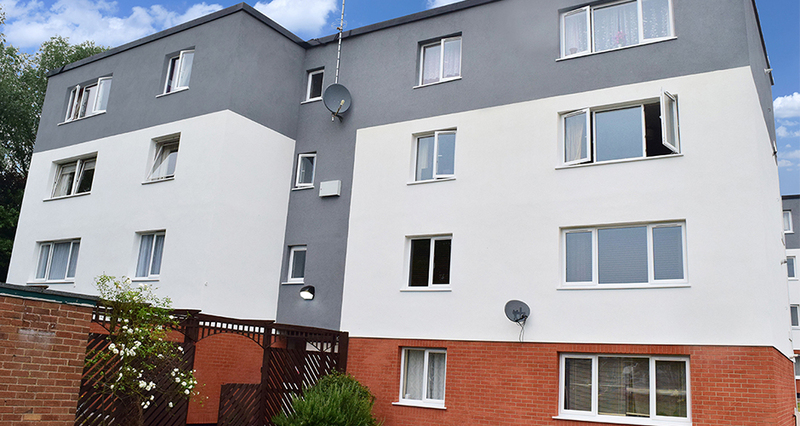 The properties were to be occupied throughout the period of the scheme so it would be essential to maintain effective communications and to work in a courteous, sensitive manner. 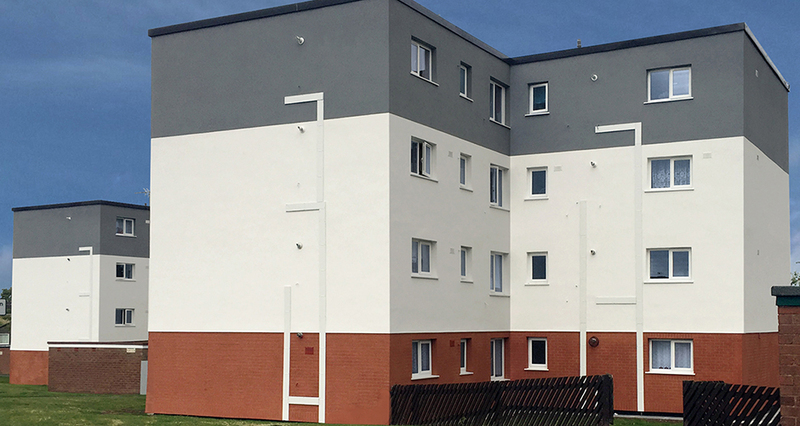 Moreover, the project presented a particular challenge: the flats were occupied by a mixture of leaseholders and tenants, so the resident liaison process would be rather more complicated than it might be for a project featuring only one form of occupancy. Sustainable Building Services recognised that effective communications would be key to delivering a timely result and high levels of customer satisfaction. It began by taking on one of the local tenants as tenant liaison officer. The resulting local knowledge and constant on-site presence proved invaluable, ensuring excellent communications and speedy resolution of any difficulties. A further challenge was language. Some residents were Polish so the company had to communicate in multiple languages. As an experienced contractor, it already had access to resources such as Language Line and it was able to prepare for resident engagement by producing translations of all relevant letters, notices and literature. This project tested the company's strategies for resident liaison and social inclusivity but all policies and systems worked extremely well. 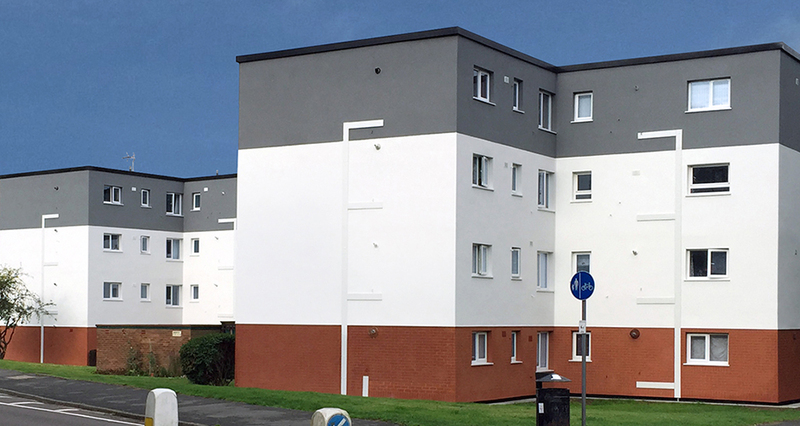 Work proceeded at an excellent pace and all properties were completed on budget and on schedule. SBS KPI data showed consistently 'excellent' customer satisfaction scores.